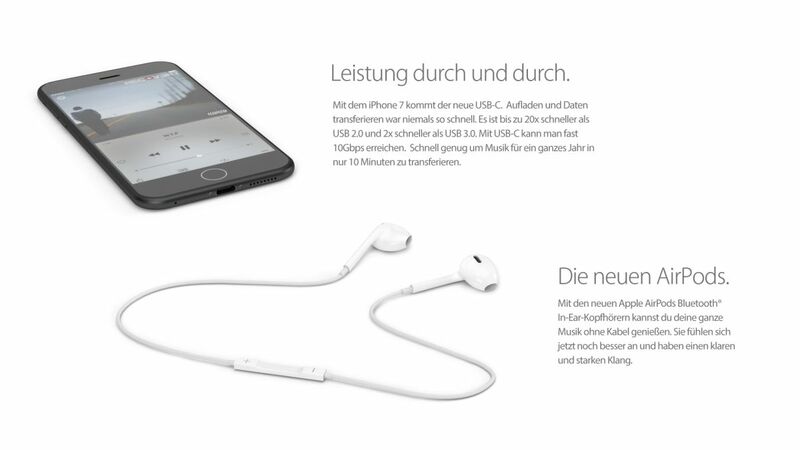 iPhone 7 Ultraslim Gives Up on Audio Jack, Comes With Apple AirPods; iPhone 7 Mini Also Pictured! Leave it to German designers to stun us every time. Yesterday we saw the Samsung Galaxy S7 design commissioned by Martin Hajek to a German site and today we come across an iPhone 7 with no audio jack, new design and an iPhone 7c/ iPhone 7 Mini also pictured.